We are pleased to announce that the 3rd Open Data Research Symposium will be held on Tuesday 25 September 2018 in the lead up to the International Open Data Conference 2018 in Buenos Aires, Argentina. As open data become entrenched in the policy mainstream, there is an ongoing need to delve deeper into the dynamics of open data practices. 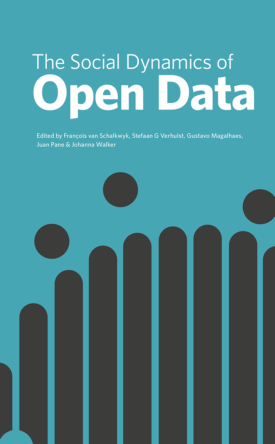 At the same time, there is a need to maintain a critical perspective and to develop empirically-tested theories on the publication, use and impact of open data. The 3rd Open Data Research Symposium (ODRS) offers researchers an opportunity to share completed research to inform our understanding of open data’s contribution to society. It is also an opportunity to shape the open data research agenda such that the knowledge produced by the research community is both relevant and robust. ODRS, as a forum that brings researchers together, will also serve as the occasion to explore the resurrection of the Open Data Research Network (ODRN). The research community will be invited to provide input on how best to create a vibrant, invaluable and inclusive open data research network. Submissions that reflect critically on a variety topical and emerging themes are invited. Submissions are invited from all disciplines, though with an emphasis on empirical social research. Cross-country, interdisciplinary, and cross-sector collaborations are particularly encouraged. The format of the 2018 Symposium will be similar to that of the 2016 Symposium, that is, one full day divided into morning paper presentations and afternoon workshops. However, for the 2018 Symposium we aim to have fewer parallel sessions as well as fewer papers per session to allow for extended and constructive interaction between presenters and participants. We anticipate 8 to 12 papers being selected overall. For further information on the Symposium please contact either Francois van Schalkwyk or Stefaan Verhulst. Book edited by Francois van Schalkwyk, Stefaan Verhulst, Gustavo Magalhaes, Juan Pane & Johanna Walker now available here.